Keeping your emotions bottled up is the surest way to suffer. 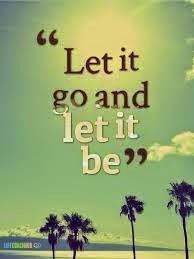 Sometimes, you must let it all go! All our experiences are emotional. Long after the experiences are over the emotions still remain in us. Often times, we keep those emotions bottled up within us. We believe that being strong through a difficult, challenging, phase means we must bury our emotions; we must not cry, we must not express how we are feeling. This belief can sometimes be ruinous. This is what leads to people slipping into depression or causes them to be unhappy or even, in some extreme cases, leads to people taking their lives. There’s a better way to deal with your emotions. Simply flush yourself from time to time. Flushing here means talk to a friend, or sit alone in a place where you are comfortable – the beach, a park, your room, wherever you feel good being alone – and cry or talk to complete strangers in a bar or on a bus. The key is to express how you are feeling. It is through expressing yourself that you can heal: artists either paint or sing or dance, someone just cooks or immerses in gardening, someone jogs or goes for a long walk and still others just travel – solo! Whatever gives you joy, whatever helps you flush yourself, do it. But please do it. Most people fear or avoid flushing out because they feel it is wrong to break down, to feel helpless and to show their human, vulnerable, side. This is so untrue. Keeping things bottled up pushes you into a depressive spiral. Now, depression is a deceptive adversary. It makes you believe that being depressed is a nice thing to do, a great place to be in. It makes you strangely feel comfortable. When you are depressed and sad, people are doting over you. They want to help you. You feel important. You don’t have to do anything. You are taken care of, provided for and, in a way, even pampered. But too much of languishing in this comfort zone makes it habitual. Then you are unable to break free from the depression. You start seeking and craving understanding. But how much compassion and understanding can you expect from people who care for you when you don’t want to help yourself? So, over time, the people go away, they lose interest and hope in you and you become alone, feel lonely, and sink deeper in depression. This is why depression eventually kills – first your spirit and then, in some cases, the person itself! To be sure, being depressed never solved anyone’s problems. 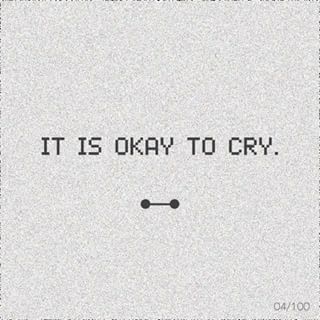 Crying over a problem does not solve it either. But what is good about flushing out, venting, crying is that it purges all your negativity. Getting it all out, letting it all go, every once in a while, cleanses you and heals you. Flushing yourself may not take away your source of pain but it definitely reduces your suffering exponentially.